After pitching a strike down the middle when he threw out the first pitch on America’s Cup day at the San Francisco Giants’ baseball game, ORACLE TEAM USA’s Jimmy Spithill had a great day on the racecourse at the America’s Cup World Series on Saturday. Spithill started his afternoon with a win over his arch-rival, Dean Barker’s Emirates Team New Zealand, to advance to the Match Racing Final. 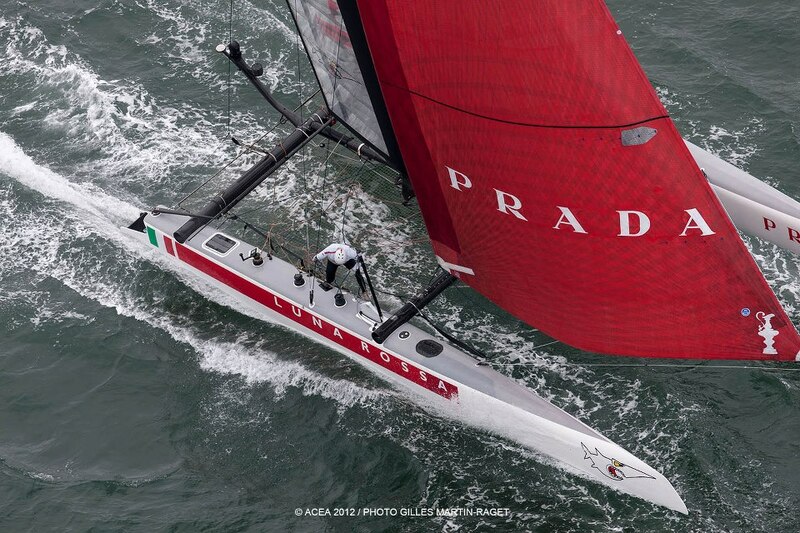 He followed it up with two strong fleet racing performances and leads the field heading into Sunday’s grand finale. Yann Guichard’s Energy Team won the opening fleet race, coming from behind to pass Spithill and Barker late in the race and steal the win. 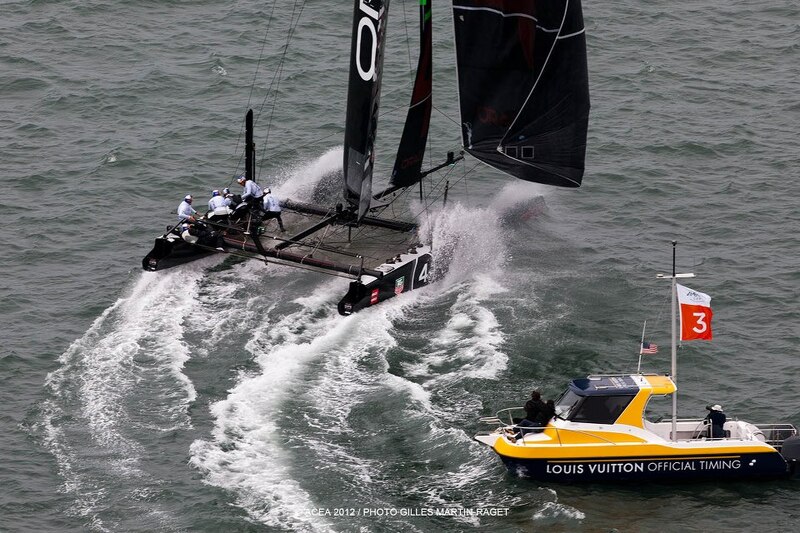 Spithill was second after being OCS while Barker, the early race leader, was forced to settle for third place after leading at the first four mark roundings. 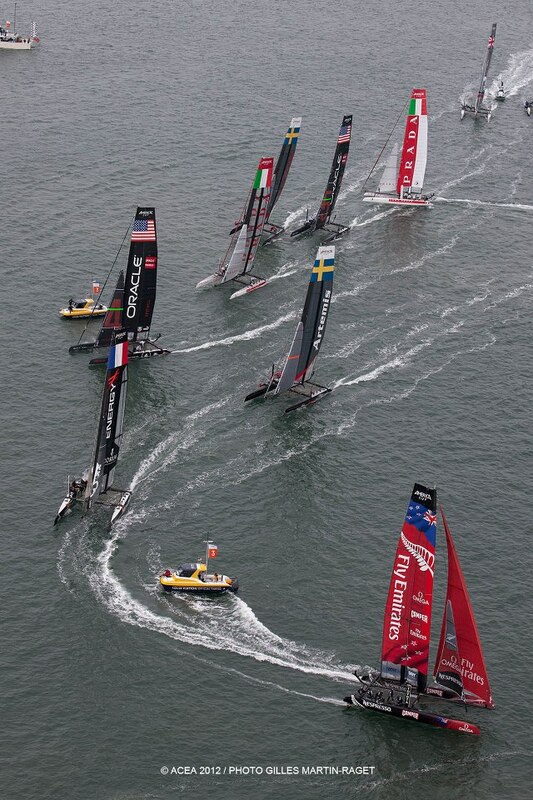 In the second race, a pile-up at the bottom gate allowed Spithill’s team on one side, and Team Korea on the other, to break free and escape the pack. Given a clear path, Spithill raced away, building the biggest lead of the week en route to his fourth win in six fleet races – a dominant performance. Team Korea’s Nathan Outteridge, more than 1 minute behind, recovered from a poor opening race with a second place finish, while Guichard, in third, posted his second podium finish of the afternoon to lift Energy Team into second place on the leaderboard. The fleet racing concludes on Sunday with the seventh and final race of the Championship. The Super Sunday race is weighted more heavily in the scoring, meaning at least four teams are in the mix to win the championship tomorrow. 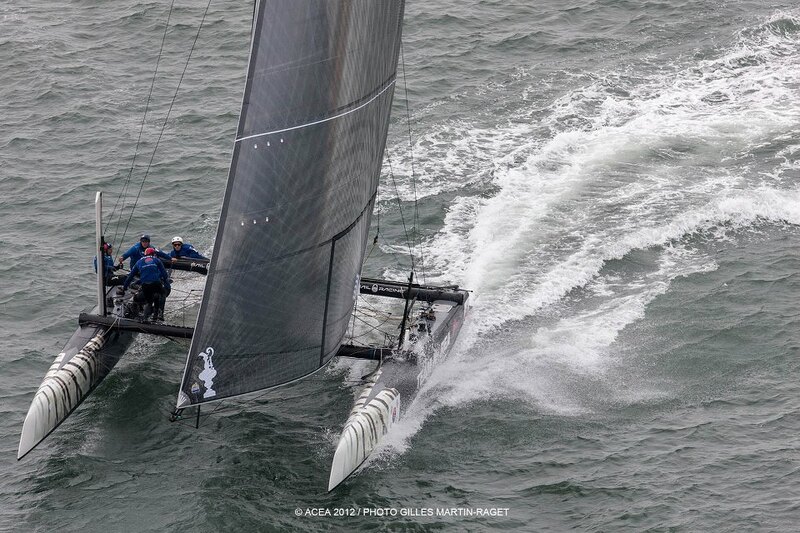 In the semifinals of the match racing championship, ORACLE TEAM USA Coutts (Russell Coutts) sprinted off the starting line with a small lead that the veteran skipper was able to extend further on the first downwind leg. 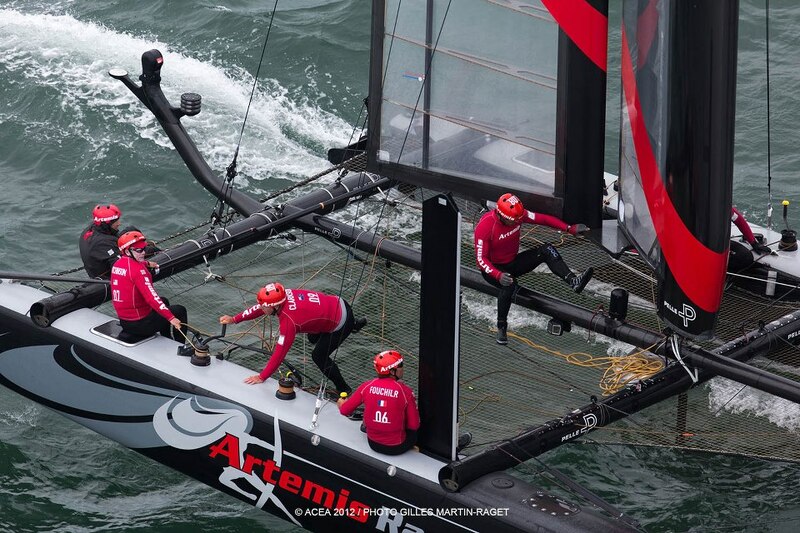 But Terry Hutchinson’s Artemis Racing White narrowed the gap on the race upwind, closing right up to where the boats nearly collided at the top mark. 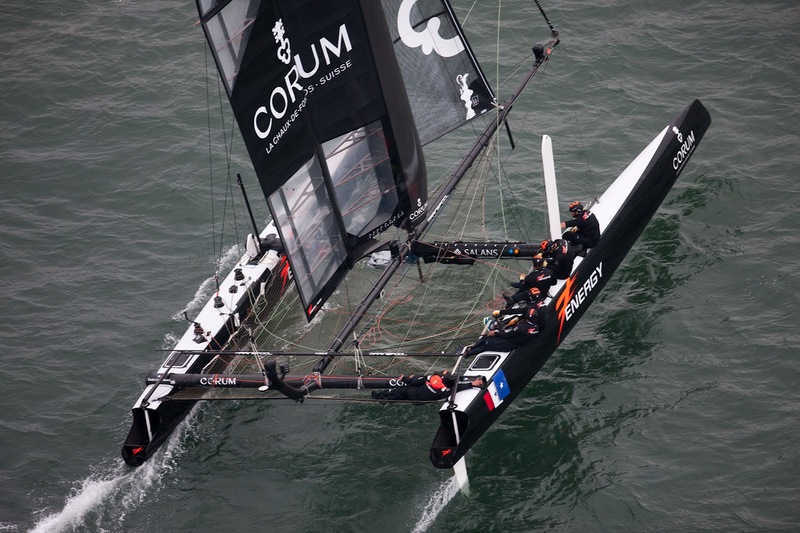 Coutts held his nerve, sailing over the top of the Swedish boat to lead through to the finish and a spot in the Final on Sunday. 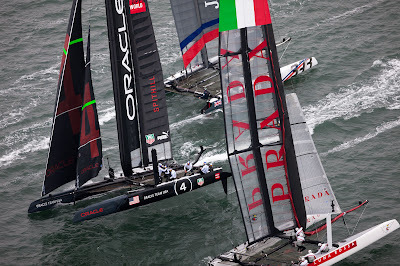 Coutts’ teammate, Spithill, then took the opportunity to make the Final an all ORACLE TEAM USA affair by winning his match against Barker’s Emirates Team New Zealand. 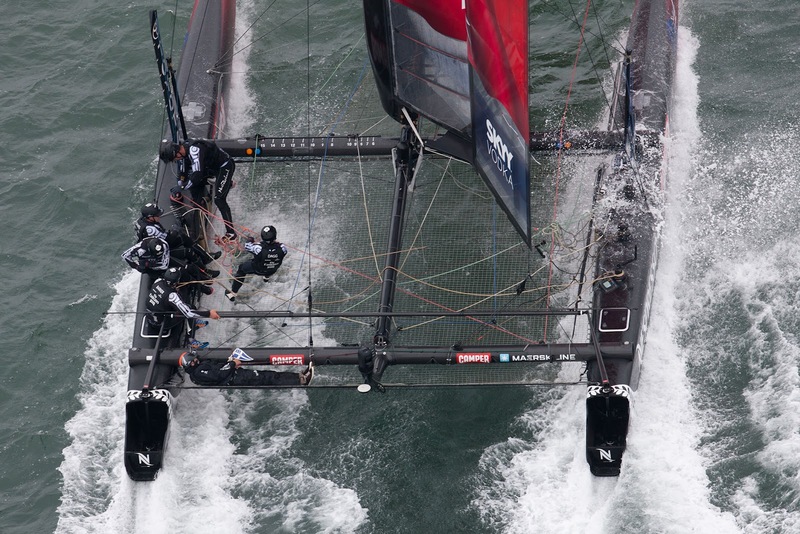 Barker timed his run to the starting line to perfection, crossing at top speed on the inside track to the first mark. 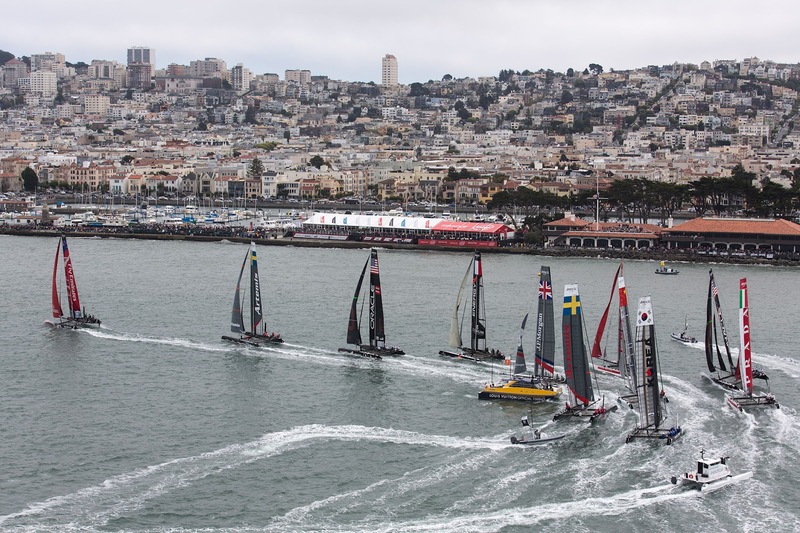 The Kiwis led through the bottom gate, but Spithill chipped away with tiny gains up the next leg, before finally making the pass right at the top mark and holding on for a come-from-behind win. The AC Village at the Marina Green was bustling with an enthusiastic weekend crowd and the racecourse boundaries were marked by a large spectator fleet all afternoon. After racing, a free concert by Dr. Dog closed Saturday’s activities in the race village. 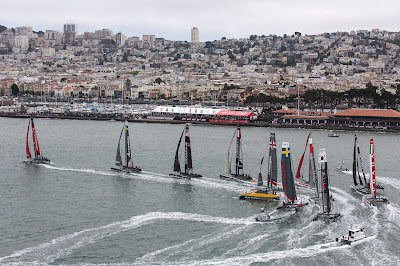 Coverage of Sunday’s racing begins at 11:30 am PDT and will be broadcast live around the world on the America’s Cup YouTube channel (subject to territorial broadcast restrictions).